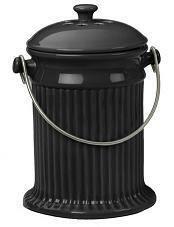 Compost pails are essential and quite nice when it comes to composting. Typically, they are small pails that can be chrome or even ceramic that sit in the kitchen. Basically, these little pails can hold up to a gallon or two of waste, and you can put your food scraps in them. The pails will often be air tight and feature a carbon filter that can be replaced. This helps avoid any type of smell coming from the compost pail. By adding these to one of your countertops in the kitchen, you can stockpile your kitchen scraps and then make a trip to the compost bin every couple of days and just unload the compost pail. By doing so, you are saving yourself many trips in and out of the house, and your composting is still getting done properly. The other outstanding benefit of a compost pail is that they come in handy while cooking. This way, you save scraps and can just put them in the pail right there instead of throwing them away accidentally or putting them down the garbage disposal. This way, your compost pail is handy right then and there. If you don’t want to buy a specific compost pail, there are other solutions – such as a tupperware container. If you choose this option, make sure you empty it every two days or so, as to avoid any sort of smell or the breaking down of materials. An important thing to keep in mind is also that there isn’t any acutal composting done in a compost pail, it is simply a recepticle designed to hold your food scraps until they are ready to hit the compost bin. There are numerous tools that you can use in order to turn your compost pile. Two common compost turning tools are the compost aerator (also sometimes referred to as a compost turning tool), and a compost fork. The aerator typically looks like a rod with “wings” at the bottom. When you plunge the aerator into your compost pile, the motion of the plunge and the wings not only turn the pile, but help aerate the compost. This is important, because proper aeration can really be one of the keys to success in regards to your compost. The compost fork is exactly what the name implies – a big, almost pitchfork looking tool that allows you to pick up, turn, and mix your compost pile. The compost fork can at times be just a big pitchfork, or some models even combine the features of both a shovel and a pitchfork in order to allow for better aeration and turning. Essentially, this allows the compost pile to properly break down, and aids in a correct balance of organic material. 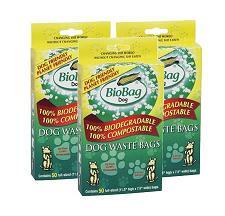 Bio Bags are a phenomenal way to dispose of waste, or to use in your composting. The main reason for this is that they are fully biodegradable. This means you can keep your organic trash scraps or even lawn clippings (leaves, grass, etc) and then throw them in the compost pile. The bag will naturally biodegrade, and you will be left with normal compost when your pile is finally read. Bio bags can really become a win-win situation when it comes to home composting. Leaves are excellent materials for your compost bin. This is because by all accounts, they help make great compost. In addition, if you have too many nitrogen rich materials (such as food scraps), leaves are rich in carbon. This allows for faster, quicker, and more efficient composting. There always has to be a nice balance between nitrogen and carbon rich materials in order to allow for good compost. So, if you are going to be collecting leaves for your compost pile anyway, it’s a great idea to look into leaf collection tools. This way, you aren’t in the yard with that rake for hours, or trying to pick up the leaves to add to your compost pile by hand. There are multiple tools you can purchase that will all work equally well in regards to picking up your leaves. Leaf scoops, for example, act almost like giant “hands” that allow you to pick up a large amount of leaves in one quick movement. There are other tools such as electric leaf shredders that will shred your leaves and place them in a bag for you. Having such a tool will allow smaller pieces of leaves to aid in the breakdown of your compost. As mentioned with the BioBags, they are also very useful tools when relating to compost – you can collect your leaves, place them in a BioBag, and the bag will breakdown with the leaves and other materials. Compost Starters and Activators can be essential when it comes to the perfect pile of compost. These two things primarily serve the function exactly what their name implies. Compost starter is typically a natural substance that activates compost piles and solid organic wastes. In other words, it helps the startup time of decomposition come quicker, and also aids in the digestion of organic waste. 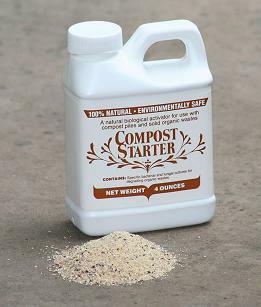 A container of compost starter is generally small, as only a few ounces can typically treat up to 1,000 pounds of waste. All you have to do is just mix the powder with water and make sure it’s spread evenly over the material that is to be composted. Then there’s compost activator. Compost activators also play a vital role in the breakdown and decomposition of organic material. Compost activator will without a doubt speed up the time it takes for your organic waste to turn into compost. Compost activator can also help you maintain perfect pH balances. This can help the overall nature of the compost. In addition, if you have matter that is difficult to compost, activator is a great tool, because by speeding up the overall compost time, you are on your way to that perfect compost pile a little quicker. 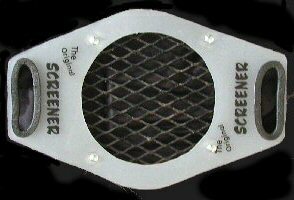 Compost sifters and screens are a nice addition to your garden collection, and can really help aid in composting. You can also use a sifter or screen for other things – from topsoil to just getting through the gritty stuff if you are just looking for smooth topsoil. Say your compost is done, but is a little clumpy and you are looking for the finest grain – just whip out a compost sifter and you are good to go. Compost sifters are typically easy to clean, and really allow you to separate soil from debris and all other unwanted materials. They also come in a variety of sizes. Some can even fit your wheelbarrow to make transportation and spreading super easy. High fives to better productivity. There are many elements that play a role in good composting. However, temperature plays such an instrumental part in a successful compost pile that a compost thermometer is really a necessity. How hot or cold your compost pile is can really determine the speed of the compost process. 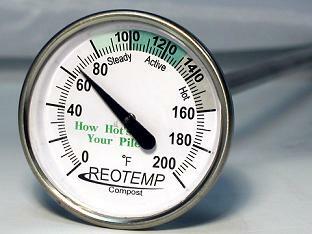 Compost thermometers will tell you how active, steady, or hot your compost pile is. This can help exponentially, because it makes you aware of how the pile is performing, and can answer all the questions you may have related to moisture (should I add more water?) and composition time (is it too cold outside to have a rapid breakdown right now?). By using a compost thermometer, you are guaranteeing that your compost pile will always be at the perfect temperature to break down any organic material.